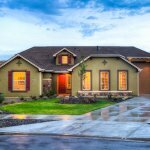 How to Set Your Home Apart to Sell Easier in Tucson! Are you thinking about selling your Tucson home? Most likely, you are going to have some competition. It may require a little work, but in the long run, a little work can get your house sold fast! KarlBuysHouses.com has put together some great tips on how to set your home apart when you are ready to sell in Tucson. Entertaining friends, serving great food and creating so much fun within the home, that people don’t want to leave is a great way to sell your Tucson home fast! Are you ready to sell your Tucson home? I can help with creative marketing techniques!